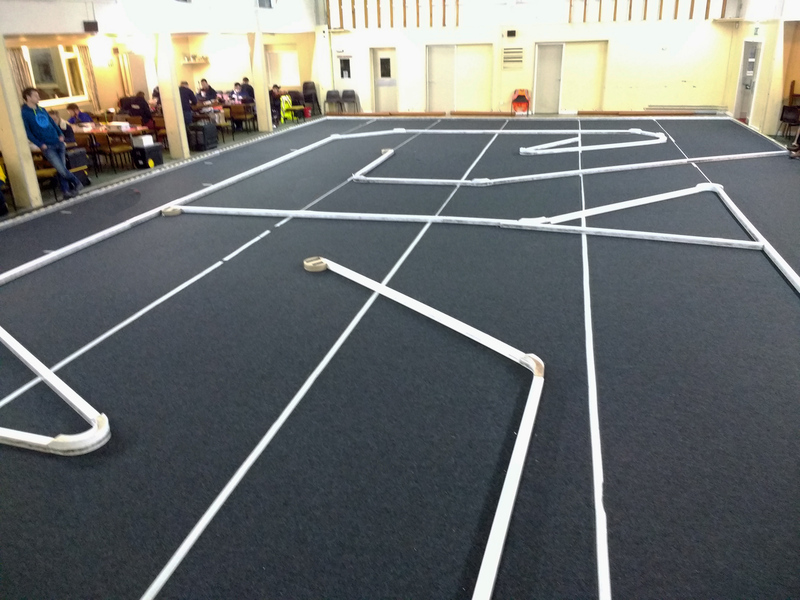 A Louis Parker design track layout this week to test the drivers skills in round seven of nine in the spring league. Once again it was Karl Norris who was quickest in the qualifying with Dan Sheppard and Chelle Snowden a lap down in second and third places. Kayleigh Knight was in fifth place overall being best in F2 and making the A final a lap clear of Simon Pole and Mike Simpson. In F3 Paul Carter was tenth overall with Adam Hancock in second place and Jack Walsh third a lap down on Paul. Ashley King was the fastest in LMP with Steve Donald in second place and Louis Parker third. First up was the GT12 D final where Phil Draycott was the winner with Jack Walker taking second place and Kaelin Thompson third and Saul Theobold fourth. Jack Walsh had a good drive with some fast laps to win the C final ahead of Neil Jackson in second place and James Walker third. Simon Pole starting from pole position on the grid in the B final made a great start was in the lead throughout the race to win, Mike Simpson was second and Benn Norris was third improving a full two laps from his best qualifying round – well done Benn. Paul Carter finished in fifth place to once again be the top F3 driver. The A final was run at a very fast pace and once again Karl Norris was the winner with Chelle Snowden winning a keen contest for second place with Dan Sheppard. Bob Harley finished fourth, Guy Rogers fifth and Kayleigh Knight sixth to take maximum points in F2. In the last race of the evening Ashley King was the “King” of the LMP class with a fine win with an “in-form” Fred Hatfield chasing him right to the finishing line in a very exciting race to watch. Steve Donald took third place and Louis Parker fourth. Just two rounds to go in the league things are very close in the different formulas. Kayleigh Knight leads F2 and has the chance of achieving a maximum 600 points score, however if David Statham wins the remaining two rounds he could tie with Kayleigh on points. Simon Pole, Justin Heath and Mike Simpson all have the chance of finishing in the top three. In F3 Paul Carter leads by just five points from Adam Hancock, the last two round scores will decide who wins the league championship, Roy Matthews is at present in third place but will be under pressure from the other drivers including Freddie Parker and Phil Draycott. Louis Parker is at the top of the LMP class league, however the things are very close and he will need good performances in the remaining two rounds to maintain his lead. Looking forward to some very exciting racing in rounds 8 and 9. Finally many thanks to Courtney Orme for running race control and ensuring the evening ran smoothly including starting and finishing on time.